2001 - Water Policy in the United States: a Perspective. Deeson et al. 1992 - Steed Vs New Escalante Irrigation. Utah Supreme Court. 2016 - Steed Vs New Escalante: Water Transfers Could Play Vital Role in Meeting Water Demands. Denver University Law. 1946 - Light on the Mexican Water Treaty from the Ratification Proceedings in Mexico. Northcutt Ely. 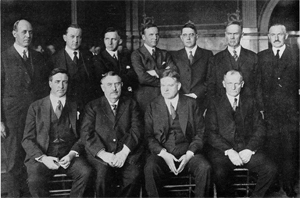 The ruling was 5 to 3 with Chief Justice Warren abstaining; dissent from Justices Harlan, Douglas & Stewart. 1966- The Colorado River. Meyers. 1974 - Legal-political history of water resource development in the upper Colorado River basin. Lake Powell Research Project Bulletin #4. 1980 - Navajo Water Rights: Pulling the Plug n the Colorado River. Back. 1980 - Bear River Compact (Amended) & History of Compact. 1985 - Competing Demands for the Colorado River. Getches. 1995 - The Law of the Colorado River: Coping with Severe Sustained Drought. MacDonnell. 1996 - New Options for the Lower Colorado River Basin. Macdonnell. 2001 - Water Policy in the United States: A Perspective. Deason. 2001 - Upper Basin Perspective on California's Claims to Water from Colorado River. Lochhead. 2002 - The Central Arizona Project. Hanemann. 2004 - A New Law of the River to Address the New Era of Limits on the Colorado. Rossman. 2007 - From Colorado River Compact Challenge to the Next Era of Cooperation Among the Seven Basin States. AZ Law Review. 2007 - Revisiting the Colorado River Compact: Time for a change? Adler. 2007 - Colorado and Western Water Law. Greg Hobbs. 2007 - Law, Environment, Dynamism, Reliability; The Rise And Fall of CALFED. Owen. 2008 - 43 CFR Part 417 does not authorize federal agency adjucication of IID beneficial use of Colorado River. Osias & Hicks. 2008 - Collaboration and the Colorado River Compact. Mulroy. 2009 - Upper Colorado River Basin Compact: Sharing the Shortage. Hobbs. 2009 - San Francisco Bay Delta Failure of Decision Making Capacity. Hanemann. 2010 - Rethinking the Future of the Colorado River. CRGI. 2010 - "Stationarity Is Dead" - Long Live Transformation: Five Principles for Climate Change Adaption Law. Craig. 2011 - New Adventures Old Bureau: Modern Day Reclamation & Congress's Unfinished Business. Benson. 2011- The Colorado River and the Inevitability of Institutional Change. 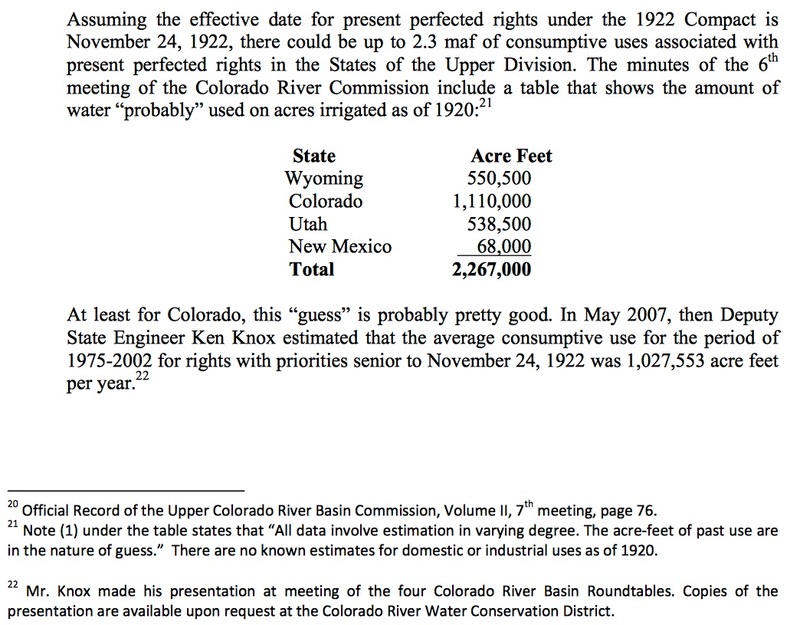 2011 - Colorado River Law and Policy: Frequently Asked Questions. CRGI. 2012 - Equity and the Colorado River Compact. Robison. 2012 - Managment of Water Shortage Colorado River: Evaluate Policy and Viability of Interstate Water Trading. Wildman. 2013 - Was Arizona Vs California a Victory for Arizona? Glennon. 2013 - Upper Basin Voluntary Demand Cap: Means of Mitigating Uncertainty. CRGI. 2014 - Truth and Consequences of the 1968 Colorado River Basin Project Act. Udall. 2016 - Downstream and Upstream - Greenhouse Gas Emissions Proper Scope for NEPA Review. Burger. 2016 - Colorado River Water in Southern California: Evolution of the Allocation Framework, 1922 to 2015. Robison.